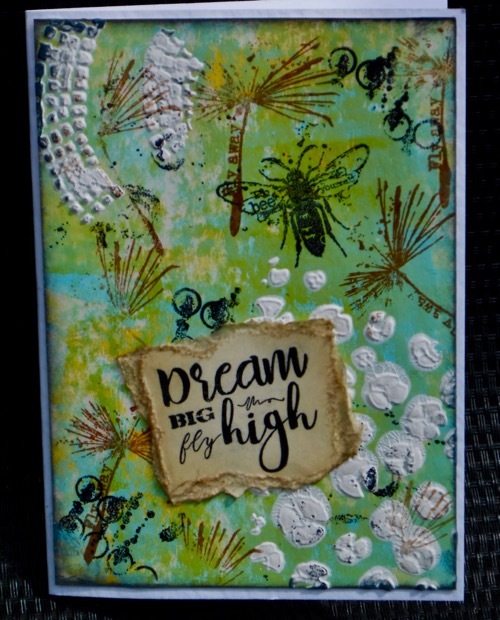 Create a project using at least one stencil, in a style that fits our challenge focus - vintage, shabby, mixed media, art journaling; industrial, timeworn or steampunk. 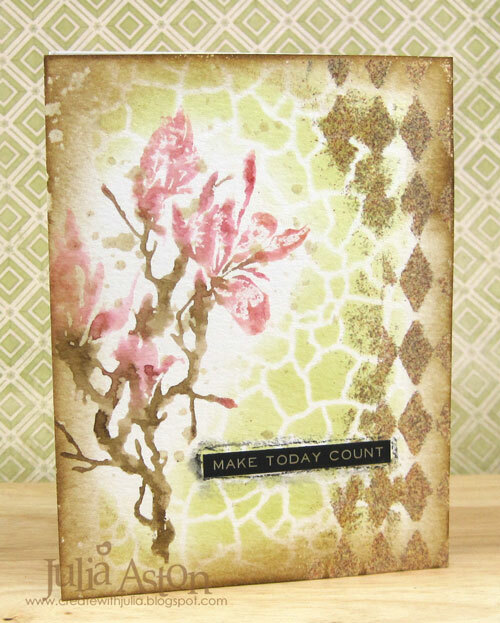 There are so many possibilities to be creative with stencils on your cards, journals, layouts, ATCs or 3D projects. Stencils offer endless possibilities, be creative and have fun! For this challenge I used lots of stencils on greyboard shapes to create a patchwork effect for my framed heart. As always lots more details over on my blog today. I decided to make a card for Astrid's Challenge. 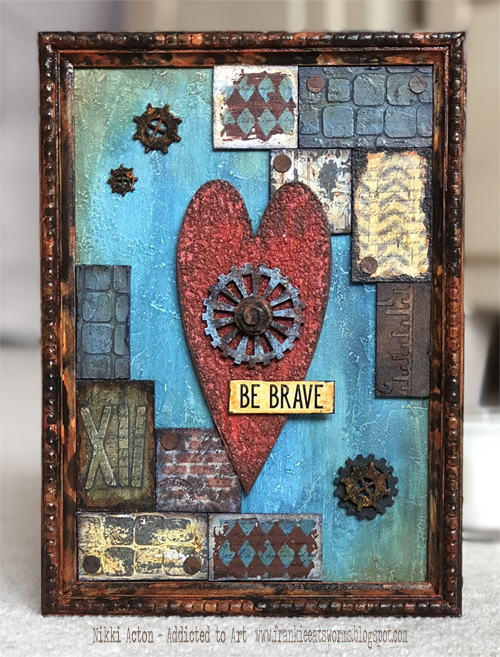 I used 3 stencils - one sponged with Distress Ink and two rubbed with VersaMark and then one embossed with Ancient Amber and one embossed with Vintage Beeswax. My straight-on photo does not show the wonderful shiny gold and water drop look of the embossing powders - so please come to my blog post here to see the full effect! For Astrid's lovely challenge I decided to work on a larger than usual (well to me!) canvas panel as I wanted to use quite a few larger stencils and incorporate this wonderful text embellishment which has been waiting for the right project for a long time. Things didn't go quite to plan as you can see on my blog! but I liked the final outcome. With our last challenge 'words and music' still on my mind and having had U2 playing on a loop ever since, my project for this challenge was highly influenced by both factors. 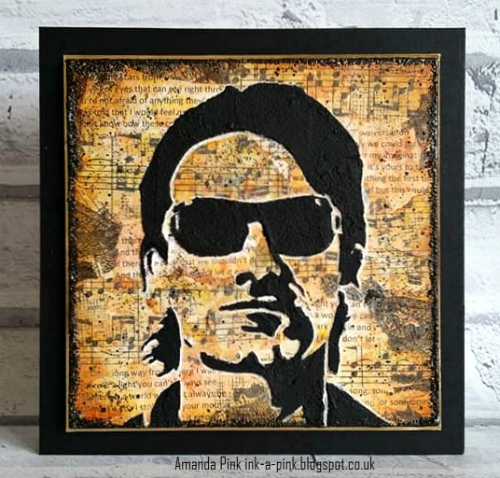 As you are now well aware I am a big U2 fan and I was super happy to have recently purchased a stencil of Bono which I have used to create a mixed media art panel for Astrid's 'Stencil It' challenge. 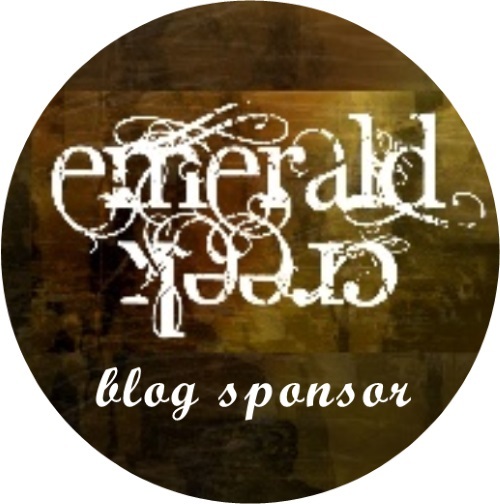 You are welcome to stop by my blog for more details . Wow! It's been so long since I've played along with a challenge! 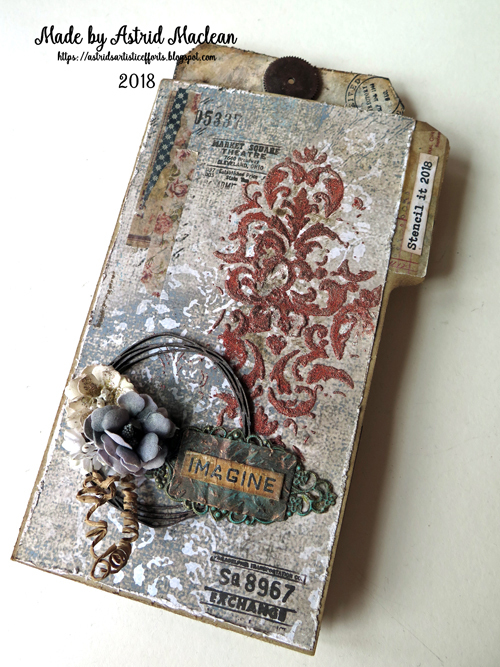 But I was excited that there was room for one more Creative Guide to play along with Astrid's Stencil It challenge. 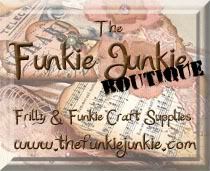 If you swing by my blog, you'll see my card started out quite differently than it appears. I had a lot of fun using mostly someone else's stash, but adding my own twist. 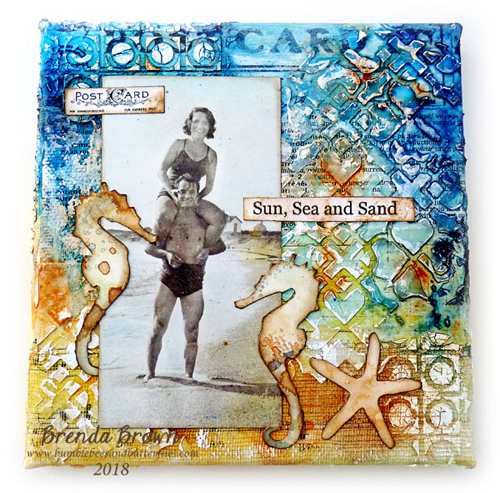 I just had to play along with Astrid's fabulous challenge theme and had great fun stencilling and randomly stamping some new items in my crafty stash. 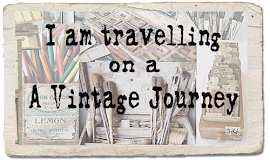 For more details pop over to my blog HERE. Well, that's it for now, - I am always amazed at how different artists interpret a given theme, and I can't wait to see what you may create! Thank you for visiting today and have a wonderful and creative month of June!! Astrid and all Creative Guides. Wow, ladies! 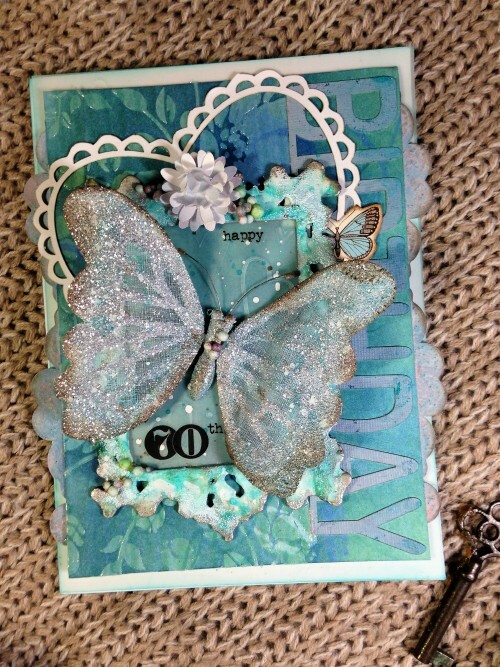 You have made some beautiful inspiration using your stencils! I can't wait to visit to see all the details up close! Hugs! 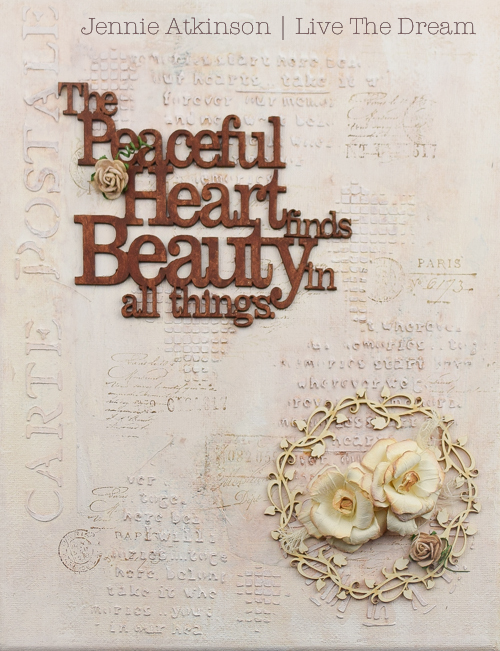 A fabulous collection of Stenciled projects everyone. As always your creativity offers a wealth of inspiration and your talent shines through . Beautiful work! I've had a lovely time hopping round to you all. Another excellent theme and fabulous works from the team!! Hoping to play along again this time!